A Mon – Fri: From Midday to 3.00pm, and again from 5.00pm til late. Except Tuesdays. We’re Closed all day on a Tuesday. Saturday and Sunday: From 12.30pm til late. Q. When do you serve food? A Lunch: 12.30pm – 2.30pm, Dinner: 5.30pm – 8.00pm. Mon – Saturday (excluding Tuesdays). 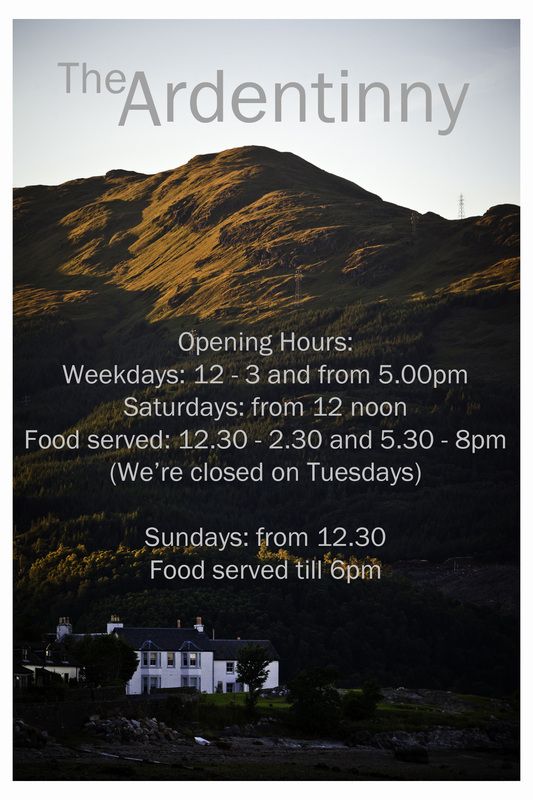 The Sunday menu is served from 12.30pm til 6.00pm (on Sundays, in case you were unsure). Q. Do you have Vegetarian & Vegan Options? A Our menu changes seasonally and all our dishes are made fresh in-house. There will usually be some vegetarian options on the menu. For vegan diets, restricted diets or allergies our Chef will do his best to accommodate you. Please give us as much notice as possible so that we may better serve you. A Yes, we allow well behaved dogs, provided they’re accompanied by well behaved owners. Q. Do you have moorings for boats? A At the moment, people are tethering to buoys and coming off the loch in dinghy’s. However, we will be installing pontoon moorings in time for summer 2018. Q. Is there any room at the inn? 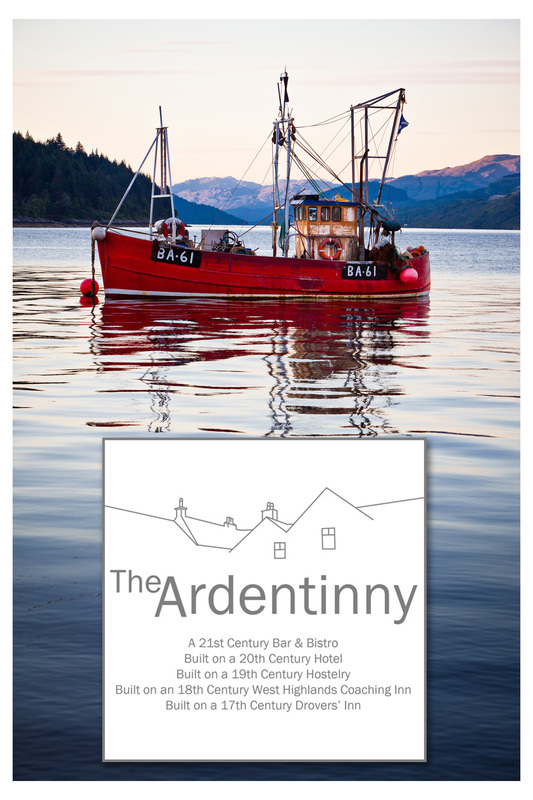 A Although The Ardentinny used to be a hotel, we don’t currently have rooms. Watch this space though (or better yet, follow us on facebook) because we’re in the process of adding a 7-room self-catering facility.